And, in fact, just today we learn the Obama Admin. 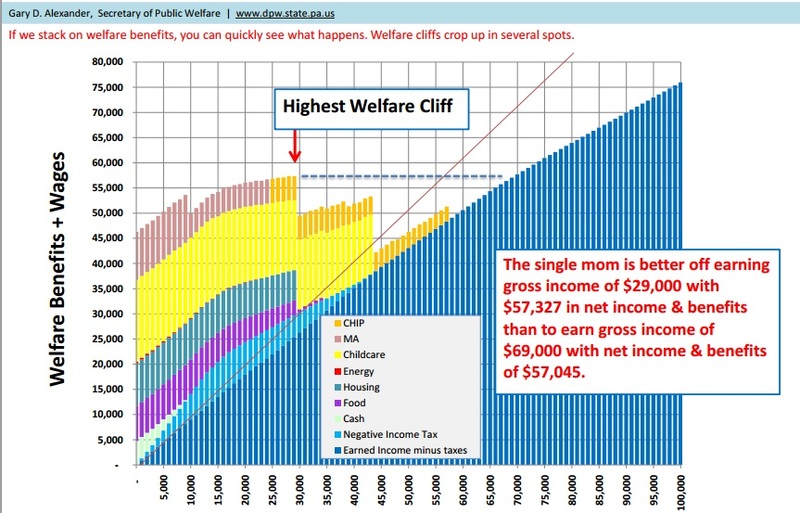 has gutted the Clinton-era welfare reform, giving people even more incentive to stay dependent. A former Virginia Congressman may be placing the critical state of Virginia squarely in President Obama’s win column. Virgil Goode, who represented Virginia’s 5th district as a Republican from 1997 to 2009. Now Goode is the presidential nominee of the Constitution Party and might be on the November ballot in his home state. The Washington Times reports that some polls indicate Obama already leads Romney in Virginia. Some on the right clearly remain dissatisfied with the GOP nominee for president and obviously Goode counts himself among them. Goode spoke with WMAL radio this morning and faced tough questioning from hosts Brian Williams and Bryan Nehman, neither of whom took Goode’s candidacy seriously as anything but a boon for President Obama. Williams and Nehman are spot on. While Mr. Goode has every right to run for president, splitting the vote on the Right raises serious risks of handing the vote to Obama. In a normal election between candidates well-within the mainstream of American politics, fine, vote your conscience. If the Constitution Party matches your principles, go for it. If you want to write yourself in as a protest vote, be my guest; I’ve done it a few times, myself. Barack Obama is the worst president of the last 100 years, maybe since James Buchanan. He and his progressive/Socialist/corporatist/New Left/whatever allies who run the Democratic Party are running this country hard into the ground, doing it serious long-term fiscal harm, dividing people along class and ethnic lines, and conducting a foreign policy so incompetent that they are succeeding in making the world a far more dangerous place. You may not like Romney. I understand. But do you really think there’d be no difference with four more years of Obama, with 2-3 more Supreme Court picks coming? With as lawless an administration as we’ve seen in our lifetimes? With the military being gutted? With the treasury borrowing like a gambling addict? With energy prices forced to skyrocket because of federal policy? Like I’ve said before, hold your nose if you have to, but vote for Romney and concentrate on giving him as conservative a Congress as possible, so that he’s forced to swing Right if he wants to be successful. But don’t give in to the temptation to vote for a third party; that way lies ruin. (1) I wanted Palin or Perry. I got Romney. I’ve been there. You are currently browsing the Public Secrets blog archives for the day Friday, July 13th, 2012.